Jerwood Gallery is situated in amongst the boatyards and characteristic net sheds on the Stade in Hastings. The ochre shingle and beached boats make for a unique setting for a modern gallery. Just behind the gallery are ominous cliffs with an old ruin atop, a defining feature of Hastings. Black tiles line the exterior of the gallery and shimmer gold from the sun reflecting off the sea. The building is aesthetically harmonious with the net sheds beside the building and the tiles themselves are a reference to an old, tall building behind the gallery, Lavender cottage, which is covered on one side with tiles of a similar dark shade. These features complement the traditional architecture and the building does not have an overbearing presence on the surrounding area. Presently one large room houses Chantal Joffe’s exhibition Beside The Seaside, which was co-curated by artist Rose Wiley. The rest of the building is split into various rooms over two floors and is home to the Jerwood collection. There is a pleasant cafe on the second floor too, with a balcony facing the sea; a great place for lunch. The exhibition of art from the Jerwood collection features predominantly 20th and 21st century oil paintings. There are works from famous and revered artists, such as L.S. Lowry, Stanley Spencer, David Bomberg, Christopher Wood and two smaller pieces by Lucien Freud on loan to the gallery. These hang amongst works from lesser-known artists and together they form a unique and interesting viewing experience. One of the main aims of Jerwood gallery is to promote Hastings as a cultural centre. Director Liz Gilmore explains: “Hastings is immensely culturally vibrant. We’re really keen to celebrate what Hastings has to offer.” This is evident in the Jerwood Gallery collection, with several works having links to Hastings and the surrounding area. Their temporary exhibitions are often consistent with this theme. The gallery has hosted two exhibitions of the Chapman brothers’ work, both having been young students in the local area, and Knock Knock: Seven Artists in Hastings featured seven internationally renowned contemporary artists with personal links to Hastings. 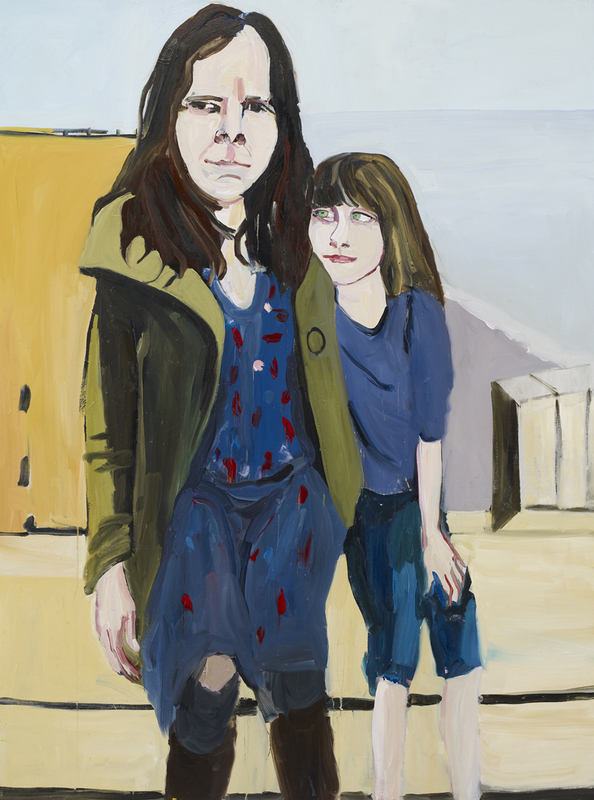 This theme has been continued with Chantal Joffe’s Beside The Seaside exhibition. Chantal Joffe has family living in Hastings and she visits often, on weekends and in the holidays. The paintings in the exhibition feature Joffe’s family and friends. Many of these subjects are depicted in Hastings and St. Leonards. Joffe paints from personal photographs and introduces distinctive distortions in colour and shape. She applies the paint fluidly, allowing it to drip down the canvas in places. The eyes of the subjects are especially unique, peering at you as you view them, in a personal but eerie manner. There are twenty-seven paintings in total, having been created over thirteen years, with several painted recently. The spaciousness of the room housing the exhibition allows for a proper viewing experience of these large-scale paintings. The gallery is worth visiting, both for the collection and for the impressive modern architecture of the building itself. 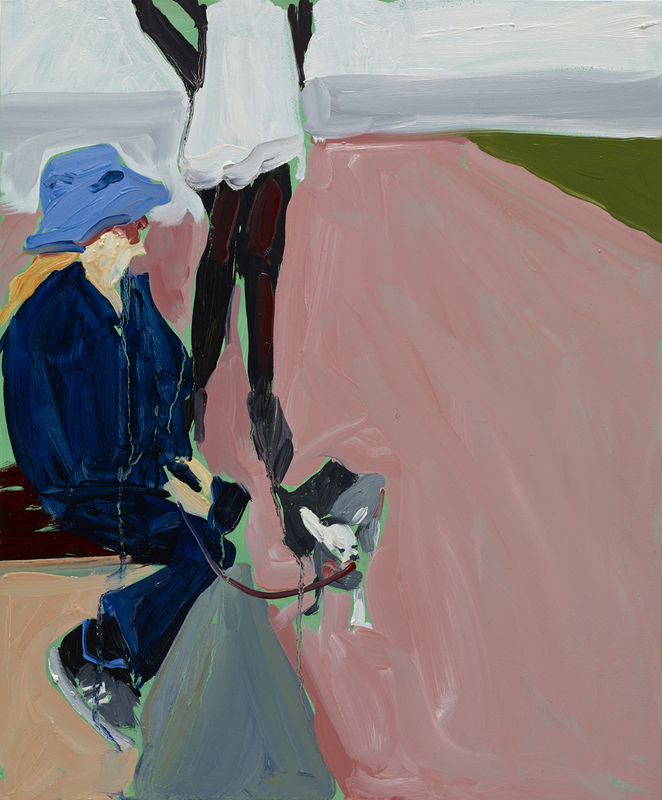 Chantal Joffe’s exhibition will be on show until mid April and I would highly recommend it. Not only is her art distinctive, personal and highly skilled, it depicts the subjects and the local scene in a way which sheds a unique light on Hastings itself. Jerwood Gallery will only continue to develop and grow, and it makes for a refreshing and stimulating visit for those interested in the arts.